Today is a super special day! Why is this day special? There are more layers to this story, however. First of all, it’s Frigg’s day. Frigg has twelve handmaidens, goddesses with whom she works very closely: Fulla, Sjöfn, Snotra, Lofn, Gefjon, Vár,Hlín, Sága, Eir, Syn, Vör and Gná. Twelve goddesses plus Frigg herself equals thirteen Asynjur. The next bit is more scandalous, not only because of the use of the <gasp> F bomb, but also because of ghe crossover between Frigg and Freya. As I’ve written before, Frigg and Freya are likely the same goddess who has different interpretations from different tribes. Or, different facets of the same goddess, one became more focused on motherhood and home while the other focused on sexuality and adult relationships. Like the Elvis complex. Happy Friday the 13th. May Frigg and the Asynjur bless you and yours always. And may you enjoy all facets of this special day. Looking at the traditional* American Pagan Wheel of the Year, today would be Litha or Midsummer. On Heathen Wheels, it’s just Midsummer. To celebrate this morning, the Littles and I made Honey Cakes a la Moody Moons. We didn’t have the honeycomb molds, but the cupcake version tasted yummy all the same! We blessed and offered ale to our ancestors, the Aesir, Asynjur, and Vanir. We also acknowledged the Fae, on this, their favorite day- at least according to the great Bard. It was extremely fitting to have all of our Black-Eyed Susans open as of this morning. Special attention and Hail to Sunna. This morning, Witchling remained in bed until shortly after 7. Yay Saturday! When he started to sound restless, I called in on his monitor and invited him to come lay with us until Witchlette awoke and they could have tablet time together. I asked him how he slept, and he said good. He then said he had dreams. Loki and Thor. Does Thor have a hammer? No, he holds something. … Is Loki a good guy or a bad guy? He can be a good guy, but he also can be a bad guy. Oh. Is Iron Man a good guy? Ok. Can we watch cooking videos? My main takeaway is that while most of what he understands of the lore is still based in Marvel, he distinguishes heroes and Gods. It’s definitely a start. I had discussed Frigg and Freya, their similarities and differences quite a bit. Almost to ad nauseum. When I first started my 30 days of Frigg devotional, I spent a lot of time on Norse Mythology for Smart People. The article about Frigg soends a lot of time, like I do, dissecting Frigg from Freya based on Frija. The other day, while mowing my lawn, I was thinking about Frigg, and how earthy she is. How gentle and loving she is. How Freya is a warrior. How Freya is more like the female Odin than Frigg. How Freya is the veleda. Freya, a Vanir, has the personality and likeness of an Aesir. Frigg, and Aesir, has the personality and likeness much closer to Idunn, a Vanir. Did Frigg and Freya switch personas when one became more dominant over the other? I shared these thoughts with my Circle on Friday night, and R, who Frigg/Holda has also called to, sees what I see. She is helping me as I continue to embrace E, my Salem Witch grandmother, and release the ideal of being kin to my gods. Yet, she continues to remind me that I am. I call them by their Nordic names, but I am kin to their German faces. I am kin to Thunar. I am kin to Holda. To Woden. Perhaps I am connecting to Frija herself through the face of Frigg. As I was reading through older posts, getting back to the start of this year and to the 30 day devotional, my crown was all tingly reading through where I’ve been and what I’ve learned, how far I’ve come. 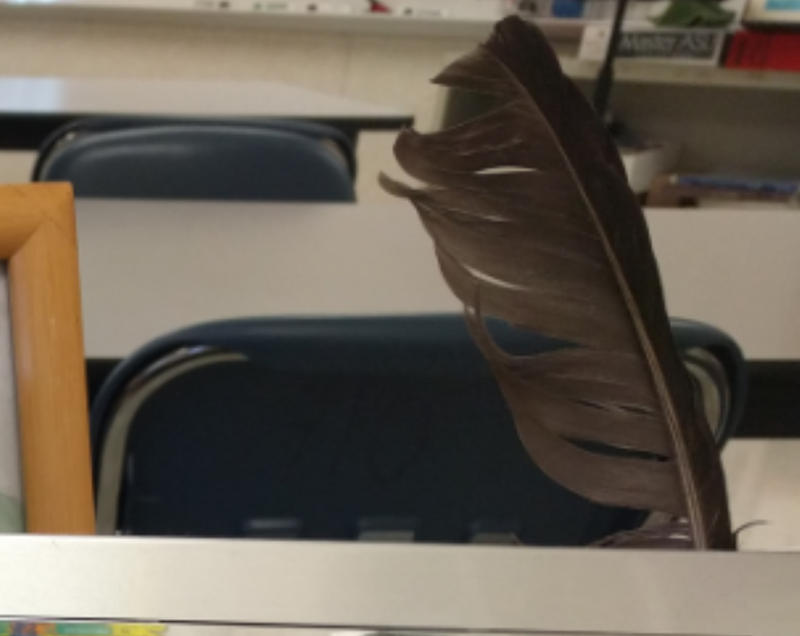 Three weeks ago, I spent the non-student work days setting up my workspace and the beginnings of my instructional materials. This year, after a two-year hiatus, I am returning to my roots and going back to what I know best. I’m going back to the classroom. A few weeks ago, at the CotE Urban Paganism workshop, I hit on an idea I hadn’t thought of before: setting up sacred space at my place of work. 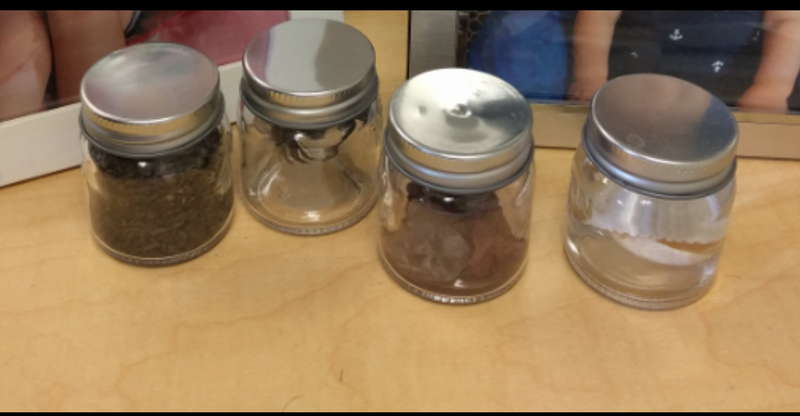 I had mini Mason jars filled and set for rituals without candles, but they are now present at work. 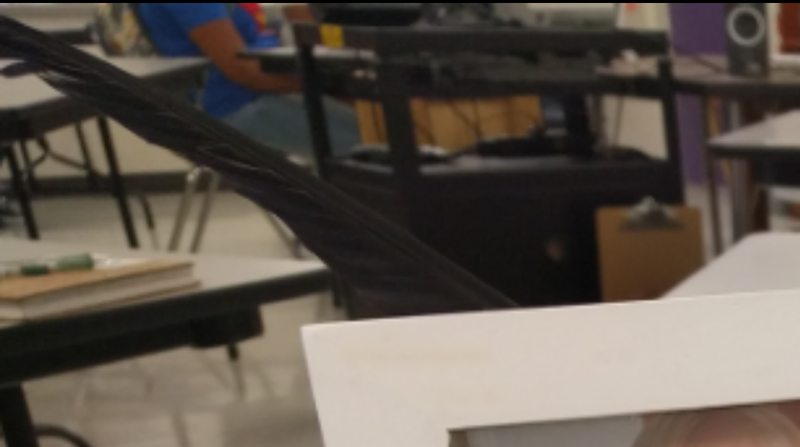 Additionally, I collected the two crow feathers I have gathered from work the last few years and places them within the frames of my kids’ pictures. Perhaps one for Hunnin and one for Munnin? When I find something unobtrusive that would make a good Frigg totem, that will be added as well. Perhaps also something for Thor, Sif, and Idunn.